As a child of the late nineties and early 2000’s, I loved the Disney Channel. My parents raised me in a no-cable household until I was almost in high school. That means it was PBS, the news, or if we were lucky latest season of American Idol. However there was one place I could go to connect with the pop culture I was deprived of, my abuelita’s. Not only was there never a shortage of enchiladas or pan dulce, I could watch the Disney Channel as long as I wanted. 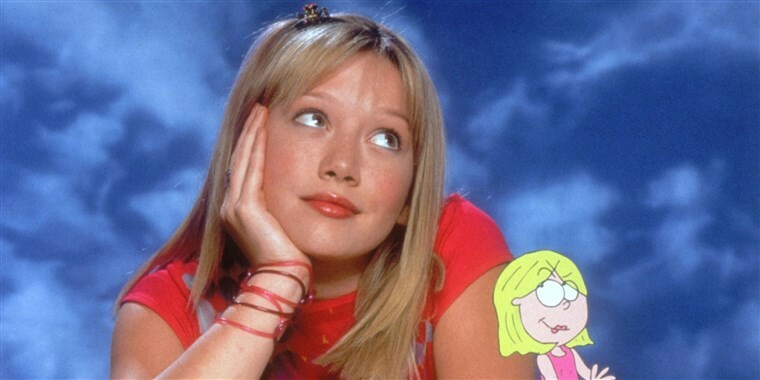 I was in love with Lizzie McGuire, Sister Sister, Even Stevens, The Famous Jett Jackson, and That’s So Raven. I watched them all. While I loved these sitcoms I struggled to see myself in any of them, because yes, I’m Latina and in the world of so much TV, I do not exist. Miranda Sanchez, the best friend of Lizzie McGuire, played the ethnically ambiguous best friend well but she was still always the sidekick and hardly ever did anything. As a side note, I later found out that the actress was Filipino which only cemented the stereotype that one person of color is exchangeable for another. While Demi Lovato and Selena Gomez both starred in their own TV shows later, their shows never explored their Latinidad. The only brief moment of representation for Latinos was a Disney channel original film called Gotta Kick It Up starring a young America Ferrera. Young Latinos need to be able to see themselves as the stars of their own lives and media representation has a lot of influence. We cannot sit quietly while one of the rare shows that centers a Latino family get canceled. 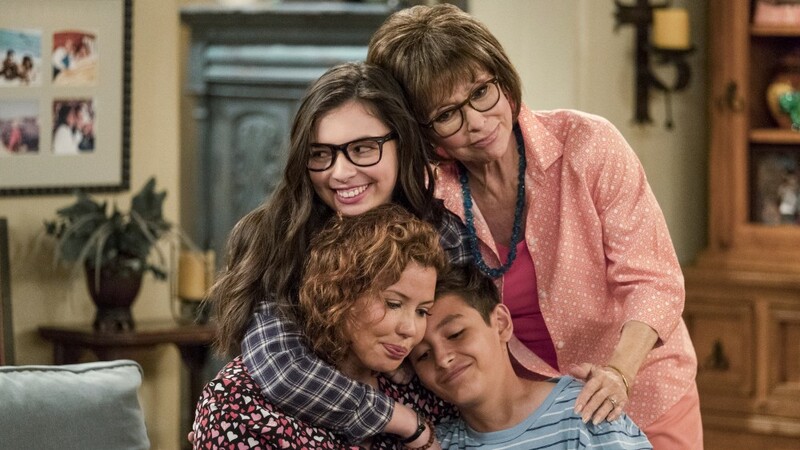 You might have guessed but yes, I’m talking about Netflix’s One Day at a Time. I confess I was a “bad” Latina and waited far too long to start watching One Day at a Time. But once I saw the first episode I was hooked, not necessarily because it’s the most groundbreaking, edgy show on television but because it simply shows a family that I connected with. In the first episode, they’re trying to convince their feminist teenage daughter to have a Quinceañera. A storyline that seemed more than a coincidence. I’m Mexican and I’ll never forget how disappointed my mother was when I told her I didn’t want the big 15-year-old birthday party we know as a Quinceañera. I was a nerdy sophomore in an all-girls high school that spent a lot of time injecting us with a perfect amount of “girl power” and women’s history. It’s a lethal combination for a mother trying to convince her daughter that dressing up as a princess would be fun. As I watched, Elena (Isabella Gomez) explain to her mother Lupe (Justina Machado) why she didn’t want to have a Quinceañera, I realized I was seeing a teenage version of myself for the first time. A bookish Latina teen that was more interested in school than her cool factor. And then there was the grandmother Lydia played by the incomparable Rita Moreno, a devout Catholic woman that truly loves her family. While Lydia is completely different from my grandmother (I confess I never saw my grandmother dance or ever flirt with anyone), her values and the way she cares for her family are the same. Lydia dedicated herself completely to her family, whether it was waking up early to make them breakfast, or sharing stories of her family (often times over and over again). Regardless, there is something about watching her that made me feel warm and safe. Like my grandmother’s arroz con leche before I went to bed. The show also tackled many problems that face Latino households in a unique and nuanced way. Whether it was a discussion about immigration, coming out for the first time, PTSD, or addiction, the show demonstrated that sitcoms don’t have to play it safe. Today, Netflix announced that they were canceling One Day At a Time. I was heartbroken to learn the news. The Alvarez family was not just any family on TV, they were a reflection, an example of millions of families in this country that rarely get to see themselves. Less than 1% of Neflix’s 700 original series center the US Latino experience. It wasn’t just a story about a Latinx family, it was the story of an American family. While One Day At A Time was cheesy and a little over the top, I definitely didn’t mind. Everyday, we’re inundated with images of Latino families being separated while trying to make a better life for themselves. It’s exhausting and traumatic to experience everyday, knowing that there are some people that will always view us as outsiders. In these times where Latinos in this country are often forced to assert our basic humanity, it was nice to have a TV show that treated us with empathy, showing the beauty of our communities. One Day At A Time offered a unique depiction of Latinx life in a sitcom — a format that we’ve been excluded from. Netflix, you’ve made a huge mistake.